Birdsill Holly, a hydraulic engineer and inventor, was born August 8, 1822, in Auburn, NY. He was raised in Auburn and Seneca Falls, NY. Holly followed in his father’s footsteps as a general mechanic and millwright, becoming an apprentice in Seneca Falls. 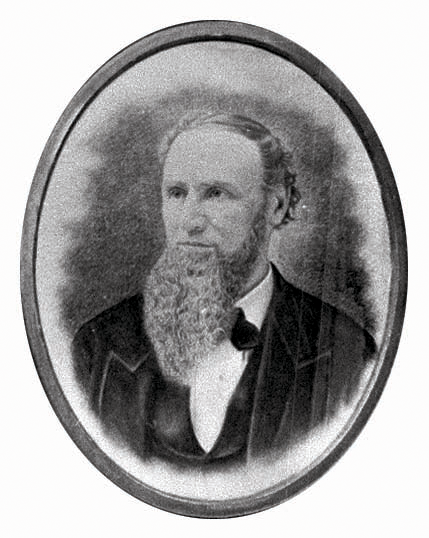 He later became a superintendent and proprietor of a large shop in Uniontown, Pennsylvania. After several years, he returned to Seneca Falls to organize the firm of Silsby, Race & Holly for the manufacture of hydraulic machinery. While there in 1855, he invented the Silsby steam fire engine and its unorthodox rotary engine and pump. In 1877 Birdsill Holly dug a trench and ran a steam line 100 feet from his house to an adjoining property in Lockport to test his central heating system. He soon formed the Holly Steam Combination Company to generate steam from a boiler and distribute it to businesses and homes in Lockport. To avoid the basic inefficiencies of heating buildings with individual small boilers, Holly’s system used a large central boiler plant that furnished steam under moderate pressure to a group of buildings in a surrounding district through a loop of supply and return mains, which were heavily insulated to reduce heat loss. Each customer was charged for the steam consumed, determined by metering the water of condensation. Various steam regulating and measuring devices were developed to control and monitor the flow of steam in the system and to individual delivery points. All of these were designed and produced by Birdsill Holly and his companies. ASME recognized one of the earliest district heating systems still operable – the Detroit Edison District Heating System which was designated a national landmark in 1985. The Holly System of Fire Protection and Water Supply is the first National Mechanical Engineering Heritage Site. The Holly System of District Heating is the second National Mechanical Engineering Heritage Site. Site designations note an event or development of clear historical importance to mechanical engineers. Each designation reflects its influence on society, in its immediate locale, nationwide, or throughout the world. Municipal systems and fire plugs were not new in Europe and New England states. 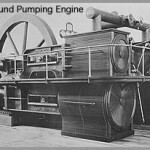 While fighting patent infringements, Holly acknowledged that a water supply had been furnished by means of forcing pumps and that stationary pumps had been employed to extinguish fires. His invention was the development of a single apparatus to effectively attain both these ends. Birdsill Holly passed on April 27th 1894. For Additional Information See “THE LIFE AND TIMES OF BIRDSILL HOLLY” by Madelynn P. Fredrickson December 1966.